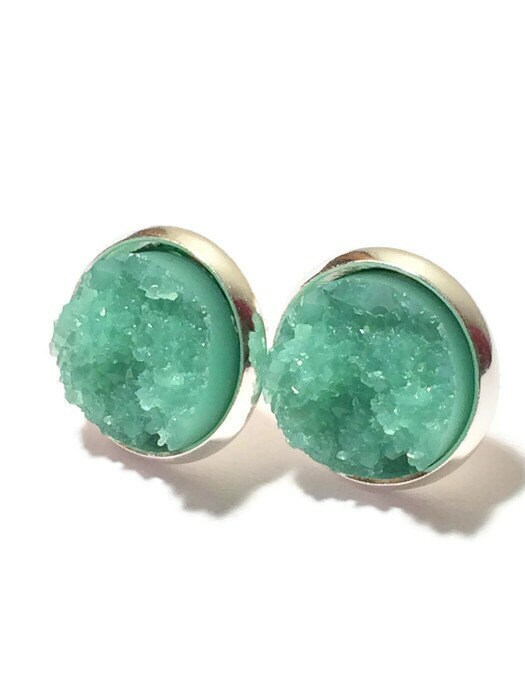 Resembling sea glass colors, these sea foam earrings are unique, eye catching, gorgeous and on trend. 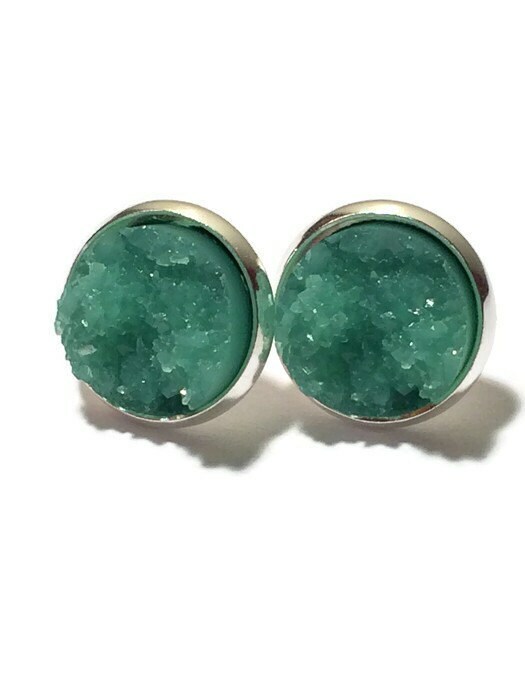 They are slighty darker than the mint colored earrings, and represent my home town of Kennebunkport, Maine. 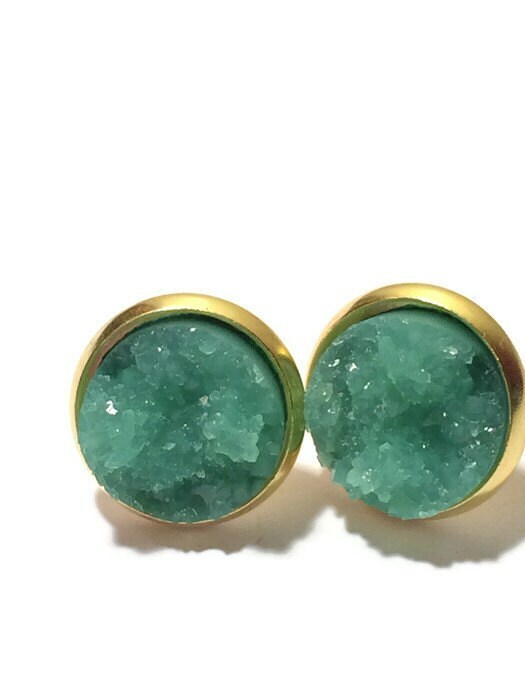 These sea foam green studs are perfect for daytime, nighttime and wedding time! 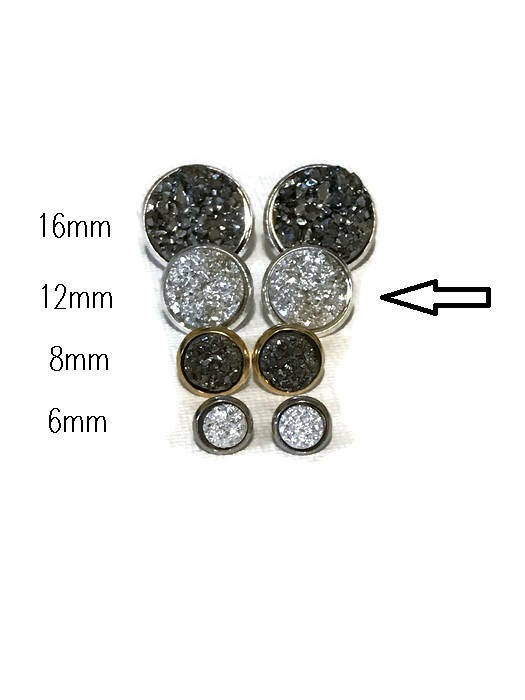 Each pair comes individually wrapped in a gift box (last photo), ready for gift giving! 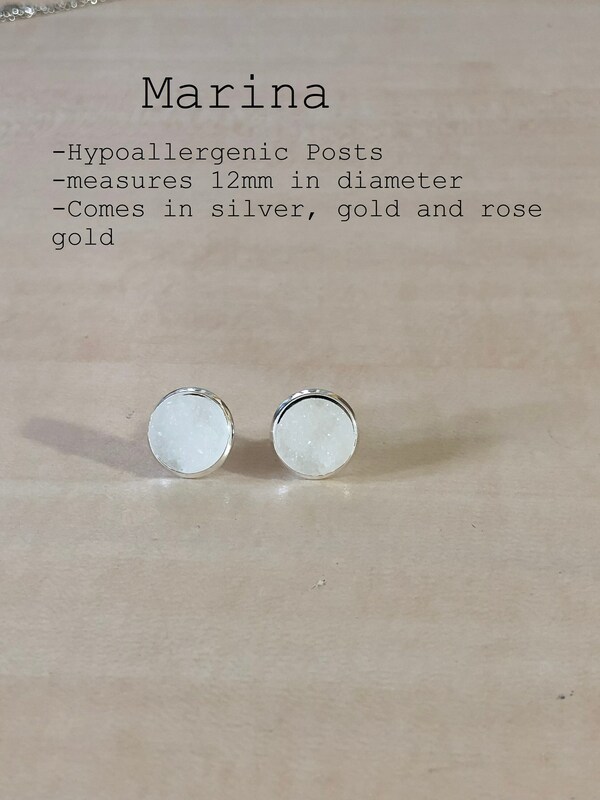 -Each pair comes in a small white box, wrapped and ready for gift giving! Katie was so great to work with! 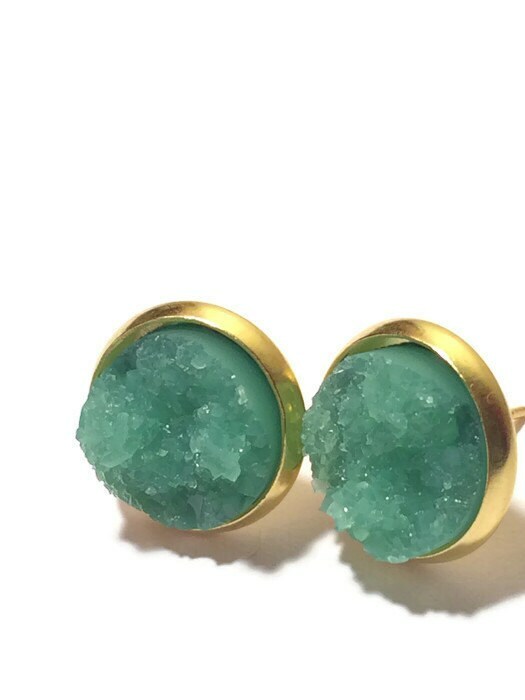 I ordered these for my bridesmaids, and Katie even threw in a few extra gifts. They shipped extremely quickly, and the packaging was cute. I asked Katie to print a specialized message on the packaging, and she kindly did so. Color and quality were just what I'd hoped for - I'd highly recommend purchasing from this shop.